A 34” (860mm) strand of Ambrosia salad concoction consisting of adorable lampwork oranges, pineapples, and bananas alternating with vintage West German glass marshmallows and whipped cream and sprinkled with faceted opalite coconut…no nuts, unless the four 14mm black 3-D Scotties qualify! This yellow, orange and white confection closes in back with a simple sterling silver “S” hook for those who prefer not to put it over their heads. 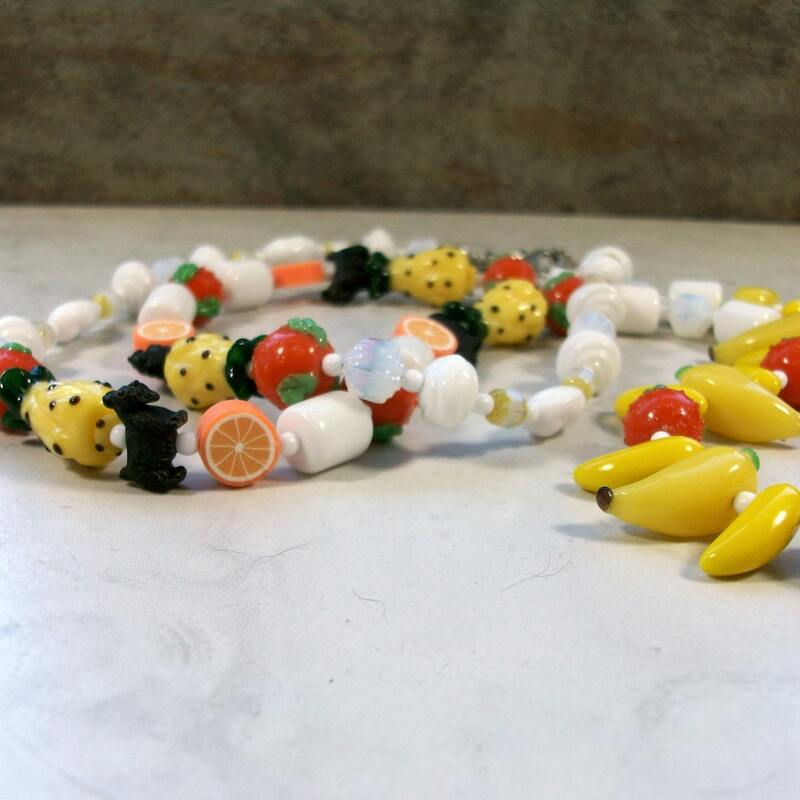 This necklace will cheer even the most dreary day.